What are your personal goal setting and planning success strategies? Your success and your personal goal setting are directly related to each other. If you practice personal goal setting, it also means you are planning for success. There can be no measure of success unless you have set your personal goals of what you want to achieve in your life. Of course, just because you practice personal goal setting does not equate success. However, when you do personal goal setting your chances of succeeding increases tremendously. These are the important aspects of personal goal setting and planning success to consider. What is your definition of success? Unless you define what success is to you, you cannot measure if you have attained your goals. Success means different things to different people. For some, it means more money. That’s an easy one but how much money? Of course, material gains cannot and must not be your only measure of success. If it is, I urge you do dig deeper to discover yourself. Is that truly what you cherish? Success should come in different facets to you. It can be success in the different areas of your life. 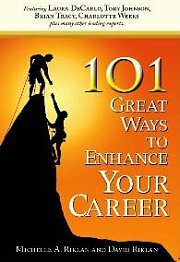 It need not and cannot be career alone. You hold the definition to success. Only you know what is a meaningful definition of success to you. For a parent, it could mean more time with the kids. For a retiree, it could mean a healthy body to keep up with all the activities. Ask yourself what is your definition of success? Ask yourself how important personal goal setting and planning success means to you? When setting personal goals look beyond the materialistic. It’s not just money alone. It cannot solely be promotion because I want more money. Look beyond the promotion and money. Have you considered attitude or a weakness that you want to overcome? Or even a strength that you want to build further? These can be very good goals to strive towards. Ever thought about education? Learning a new skill? Picking up a new language? Gaining more knowledge in certain areas? That can be a very motivating goal too. What about family? Being able to spend more time with them instead of the entire time at work can be a goal to strive towards. Let’s not neglect the health aspect of your life. All the success in the world will not mean anything if you do not have the health to enjoy it. What about personal? This could mean something as simple as allocating personal time for introspection. Time to let your mind rest and be alone. Or time for you to pursue your hobby. So, what aspects of personal goal setting and planning success do you have in mind now? Before going further, let’s summarize the steps so far. One, define what success means to you. Two, personal goal setting does not have to be material goals or career goals alone. There are other aspects that you should consider. The next important step in personal goal setting and planning success is to make sure the goals are meaningful and motivating. There is no point in setting goals that is not meaningful to you. These can mean setting goals that are merely meeting other’s expectations of you. Remember, these are OTHER people’s EXPECTATIONS. They are not YOUR GOALS. Personal goals must be motivating to you so you can have the fuel of passion to pursue them. They must be meaningful to you so you have the determination to see through the commitment to the goals. If there is to be any success in achieving personal goal setting and planning success, there must be sustained effort. When you continuously perform an action, the effort of all previous actions accumulates. This generates the energy that increases the chances of success. Thus, personal goal setting is only a small part of planning success. The greater part is sustained effort. Working the plan that you have set is equally important if not more than setting goals. It is also important for me to remind you that personal goal setting and planning success is part of the bigger picture of constantly striving to improve yourself. When you set goals and have achieved success in your definition, do not stop. Create new goals. All these are just part of continuous self-improvement.